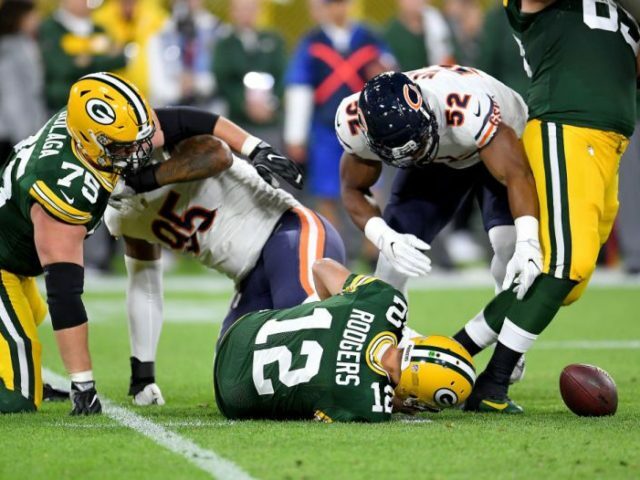 As the drama and trauma of the 2018 Packers season slowly chugs to its eventual conclusion, which will likely be the release of head coach Mike McCarthy, we should be intrigued by the parallels with the way this season and the 2005 season: a 4-12 affair that seemed cursed from the very start, under a dark cloud that most agreed could only be cured with the firing of the head coach. But there are so many other parallels to note that it bears discussing. In both seasons, the Packers had just put a new general manager into place, while keeping the head coach. This is kind of an unusual scenario, as most GMs would prefer to hire their own staff to start out. In 2005, it was even more uncomfortable: Mike Sherman was both the fired GM and the head coach. The team president at the time, Bob Harlan, seemed to believe that Sherman was owed the service of remaining on as head coach, despite his disastrous tenure as the GM in his dual role. Now, I remember decrying this scenario from the start. Why would you put a guy WHO YOU JUST DEMOTED out of his power position back on the field with diminished status in the eyes of his players? It really was an awkward position for Sherman and Ted Thompson, who had to have been begged by Harlan that this would be a good idea. But it was clear that Thompson was going to move ahead with his vision for the team regardless of Sherman’s job security, which is why 2005 was little more than a thinly-veiled cap-clearing/rebuilding year. This season, Brian Gutekunst ascended to the GM role to replace Thompson, and while many coaches and coordinators were fired and replaced following the disappointing 2017 campaign, Mike McCarthy was kept on as head coach. Again, this was unusual and awkward, as the team president, Mark Murphy, went a step beyond Harlan and didn’t just convince the new GM to keep the head coach, he went as far as to remove the ability for Gutekunst to fire McCarthy at all, ever…leaving the power solely in his own hands. If you ever want to see an example of a bad boss-to-employee relationship, make sure the boss has no authority over the employee. In 2005, the Packers had a 35-year-old Brett Favre under center, a fan favorite that many were clamoring to get “one more ring” before his career wound up. Now mind you, I’ve often cited 36 as the magic age where HOF-level quarterbacks tend to hit the wall and decline. Favre proved me wrong, as we all know, but there was a level of anxiety among fans to get him that second ring. And therein lies some of the drama that started much of the Great Divide of Packer Nation: are you a Packer fan, or a Favre fan? Was it more important to mortgage the future, trade for Randy Moss, and put everything in the tank to win it, all-or-nothing, right now; or was it more important to continue to build this team to be an ongoing threat with the ability to make a deep playoff run every season as long as you stayed healthy? If you weren’t around or following the team in those days, this was a part of the anxiety of the 2005 season: as the talent around Favre was clearly declining and veterans left the team, many fans feared the time it would take to rebuild and placed the target on Ted Thompson for failing to “win now” for Favre. Other fans started placing the crosshairs on Favre himself, as well as his salary cap hit, which crept up to $9.5M that year, 4th-highest in the league. Perhaps Favre himself was inhibiting the team from winning, taking up cap room and possessing an ego that meant he was going to pass-first even to soothe his own ego. Fast-forward to 2018, and we have another Hall of Famer under center, 34-year-old Aaron Rodgers, he of multiple MVPs and a fervent fan base. In an odd comparison, Rodgers has come under criticism lately for perhaps being too conservative, throwing away passes to avoid sacks, whereas Favre always came under criticism for pushing the envelope and throwing risky passes at critical junctures in games. But most importantly for both quarterbacks is the growing suspicion that Father Time is going to end their prime years at any point in time. Of course, in 2005, the Packers had just drafted Rodgers to eventually replace Favre, and there were fans already clamoring for that to happen. There is no one on the roster right now to demand any level of a quarterback controversy for Rodgers today, but the concern is there that Rodgers’ window may be closing before the Packers can truly contend for a Super Bowl again. In 2004, the Green Bay Packers suffered through one of their most telling scenarios that coach Mike Sherman may be losing the locker room: Mike McKenzie, a talented cornerback, decided to hold out and demand a trade, upset with his general manager (who was also his coach) that other, lesser-talented players in the secondary had passed him in compensation. This resulted in McKenzie ending his holdout a few games into the season, then getting “injured”. Moreso, the scuttlebutt out of 1265 was that he had become a locker room cancer, slamming Sherman and impacting the morale of the team. The impression that Sherman was losing the locker room wasn’t helped with other player actions, such as defensive tackle Cletidus Hunt and other players skipping mandatory offseason programs and having extended vacations while rehabbing injuries. Hunt was cut in the 2005 season after getting injured again in training camp, but you had the impression that he wasn’t going to be staying long anyway. Javon Walker, the gifted wide receiver, also staged a prolonged holdout, then was promptly injured upon returning and placed on season-ending injured reserve. As the futility of the 2005 season raged on, more and more players seemed resigned to the state of losing, and as injuries piled up, there was less and less accountability placed on them by Sherman. Favre threw a career-high 29 interceptions as he tried to overcompensate for the lack of talent around him and the lack of direction from the sideline. Yet, never was benching Favre an option or consideration, and that in and of itself sent a resounding message to the rest of the roster. In 2018, dissension is also a topic that will be looked back upon with some interest with 20/20 hindsight. General manager Brian Gutekunst traded away cornerback Damarious Randall in the offseason to the Cleveland Browns, mostly in response to his repeated on-the-field and locker room antics in 2017. 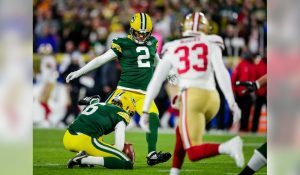 The move was cheered at the time as a general manager trading away a cancer, but as the season moved on, more players were also trimmed from the roster, including starting safety Ha-Ha Clinton-Dix, who seemed to be resigned to not returning with the team after this season, and utility man Ty Montgomery, who seemingly defied a direct order to take a knee on a kickoff return in the end zone, instead choosing to take it out and fumbling at a critical time in the game. Jermaine Whitehead was also promptly released after an unsportsmanlike conduct penalty in which he slapped an opponent’s helmet after the play was whistled dead. Each case taken separately can be explained away, but the pure volume of players being jettisoned for not playing team ball is a worrisome development. 2005 was more than just an above-average year for injuries. This was the season that brought us Samkon Gado at running back (who ended up injured as well) and Taco Wallace at wide receiver. The three-headed giant of the Packers’ backfield was completely wiped out (Ahman Green, Tony Fisher, and Najeh Davenport), while injuries to Walker, Robert Ferguson, and Terrance Murphy left Donald Driver alone to fend for receptions with Antonio Chatman and the aforementioned Taco. But while those positions were most impacted, the injury bug impacted the rest of the team as well. Meanwhile, the 2018 version of the Packers has had some devastating injuries as well, starting with Geronimo Allison and Randall Cobb at wide receiver. Jake Ryan was a loss for the season during training camp, and the loss of Muhammad Wilkerson along the defensive front was also a massive blow. Tight end Jimmy Graham also appears lost for the rest of the season after breaking his thumb on Thursday night. Between jettisoning players and losing players, the Packers may well be ending up with the same level of accountability they had in 2005: we need warm bodies in certain positions and don’t have the luxury of putting in another player in replacement. The safety position is already being manned by free agent pickups like Raven Greene and Bashaud Breeland after starters Clinton-Dix was traded and Kentrell Brice was injured. And mind you, those two weren’t exactly lighting it up as it was. Well, let’s be honest here. The 2005 version of the Packers felt like they got blown out. A lot. They kicked off the season with a 17-3 loss to the Lions. But when you look at the margins of victory of the teams that beat them through November, it tells a bit of a different story: 14, 2, 1, 3, 3, 7, 10, 3, 5. Yes, once the depleted and discouraged Packers hit December, the margins widened. But imagine how that season might have been different had the Packers found a way to score four more points in every game. Instead of being 2-9 at that point in the season, they’d be 7-4 and in the playoff race. It’s a game of inches. A 62-yard touchdown with 1:50 left by the Browns. A missed extra point that was the difference in the game. A fourth-and-two failure after mounting a 22-point comeback in the second half. Minnesota kicking a 56-yard field goal with no time on the clock to win. This was a team that found ways to lose winnable games every week. And this also is the story of the 2018 Packers, a team that seems in the game almost every week, even against top-flight competition like the Rams. And yet, there seems to be something every week that has the Packers come up just short. Clay Matthews “roughing the passer penalty”. Mason Crosby having a career-worst day, missing five field goals in an eight-point loss. A fumble by a running back who hasn’t fumbled in 153 carries. A foolish decision to take a ball out of the end zone on a kickoff. Throwing a pass into the dirt on 3rd-and-2, then punting on 4th-and-2 instead of going for it. Yes, the Packers are only 4-5-1 right now, but they haven’t been thoroughly shut out in any game. In fact, you can make the case they coulda/woulda/shoulda won every one so far had they had the killer champion instinct they’ve had in the past. Instead, they are feeling a lot like a team that went 4-12 twelve years ago. So, what does this mean for the 2018 Packers? Well, let’s put it all together. The 2005 Packers went into a season with a coach clearly on the hot seat with a new general manager ready to move on. There was a locker room mentality of futility and entitlement that resulted in a lack of accountability on the field. The team that once found ways to win games was now finding ways to lose them, and the swagger that the starting MVP quarterback once had now seemed to be replaced with a shrugged-off nonchalance. Now, replace “2005” with “2018” in that previous paragraph. No real difference, is there? More importantly, however, what does this mean for the future? If the end of the season winds up with McCarthy being fired, will that mean we get back to the NFC Championship Game in two years, as the Packers did in 2007? Well, yay! Well, slow down, partner. What’s more important is what we are seeing in Brian Gutekunst and his approach to the game. Like Thompson, he seems eager to put his own mark on the team. Thompson, of course, quickly changed the approach to a draft-only strategy that became one of the most copied in the league, but admittedly, didn’t pan out very well for the 2006 team. It took time to rebuild the team and put enough pieces in place to get Favre and the new-look Packers within one interception of the Super Bowl. Gutekunst also has a new approach. He’s more willing to take some free-wheeling risks on draft day, as we saw with the trade back-and-up that resulted in Jaire Alexander and Josh Jackson coming to Green Bay (and scarfing up another 1st rounder in the process). He’s dipped into free agency, bringing in Muhammad Wilkerson and Jimmy Graham to bolster the team. But most importantly, he’s made it clear he’s not putting up with the country club atmosphere, as illustrated by the jettison of Randall, Montgomery, Clinton-Dix, and Whitehead. If McCarthy is indeed fired, you can imagine many other players collecting big paychecks and not producing commensurately will find their way out of the organization. Allowing a fan favorite like Jordy Nelson to sign with the Raiders was a pretty good move to send that message. Clay Matthews, Randall Cobb, and Nick Perry would be wise to pay attention to it because it’s clear that once McCarthy is gone, their roster safety is no longer guaranteed. In other words, you can expect a big roster turnover next year. You will hear fans arguing over the term “rebuild” versus “retool”. 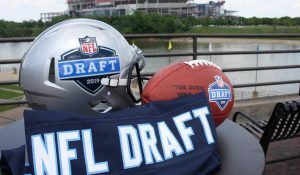 You will see young guys in positions and draft picks being selected to be instant starters. Gutekunst will be able to select his own coach that he will actually have the authority to be the boss of, and will start constructing this roster in his own image. This will likely also result in a big microscope being placed on Aaron Rodgers, who will be 35 next season, and if 2019 plays out anything like 2006, will be hard pressed to elevate the play of a lot of young players who will be making mistakes. It takes time to develop a roster. One could easily say that the 2007 Packers was a little bit of magic, with some veterans like Favre, Driver, and Charles Woodson leading a young team on a journey of destiny. And of course, ended in heartbreak, as well as the last game of Brett Favre’s career as a Packer. That offseason brought more turmoil than Mike Sherman could have ever imagined. Remember, it ended up with Brett Favre demanding a trade and putting the entire organization in the middle of an ugly divorce, along with their fans? Yeah, maybe let’s stop trying to align the fate of Rodgers to Favre at this point. Let’s go back to 2005 and 2018. We’ve seen the level of frustration by Aaron Rodgers this season, with his coach, with his receivers, with reporter’s questions. Will a new coach come in like Mike Holmgren and capture the spirit of a veteran quarterback and help him reach even higher goals, as he did with Joe Montana and Steve Young? Or, will he come in like Ray Rhodes and just give Rodgers the keys to the offense and tell him to make sure the garage door is closed at the end of the night? My biggest fear, as mentioned above, is the division of Packer fans in a rebuild, as they fight over whether the team should be getting Rodgers another ring or building for the consistent future. Amusingly enough, 2005 is where that entire schism in Packer Nation truly began. I wonder if Packers fans will learn any lessons from 2005? This entry was posted in Authors, CD Angeli, Packers 2018-2019 Season, Packers History, Packers News and tagged 2005 season, 2018 Season, Aaron Rodgers, Bob Harlan, Brian Gutekunst, cd angeli, Football, Green Bay Packers, hot seat, mike mccarthy, Mike Sherman, NFL, ted thompson. Bookmark the permalink. Wow! I remember things a bit earlier than 2005, when the Packers were so bad I had to find the Raiders as help for my Sunday’s (of course those were the days of John Madden…enough said). When Mike Holmgren took over I was a bit uninformed and the early years under Holmgren took some time for me to start watching the Packers again. 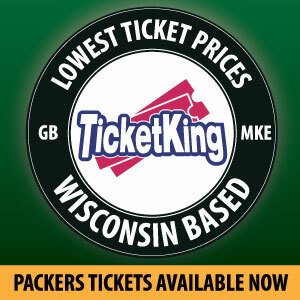 It is starting over again for me…due to the past 3 years of Packer mediocrity. I hate saying that but it was the Seattle game that pulled the plug. Rodgers is frustrated and shows little swag or engagement with coaches or teammates. A leader brings out the best of others, Rodgers leadership is slipping this year, as is MM. The team is infected. Yes, we win some of those games and the whole narrative changes. But it is what it is. Team is down now, and I dont expect the light switch to suddenly be switched on our offense or defense. The Vike game in their den will show us our pride; close will not count. Arizona at home, should be a win?Then Atlanta at home, could prove interesting as Julio and Ryan have always torched us. Then on to Chicago who who destroy Rodgers the entire game with our defense unable to stop the Bears creative offensive plays and speed. Am I negative in my assessment? No, just realistic and seeing exactly what we have. We may even finish last in our division? Overall, very poor this year, and close don’t count. I really enjoyed this article. Great work! I recall 2005 somewhat differently. We did lose a lot of close games and Favre did have 36 turnovers but the Acolytes never wanted to admit the obvious connection. Two years later he was gone, but not before throwing the season away. Meanwhile, his successor was growing. We need a new successor now.